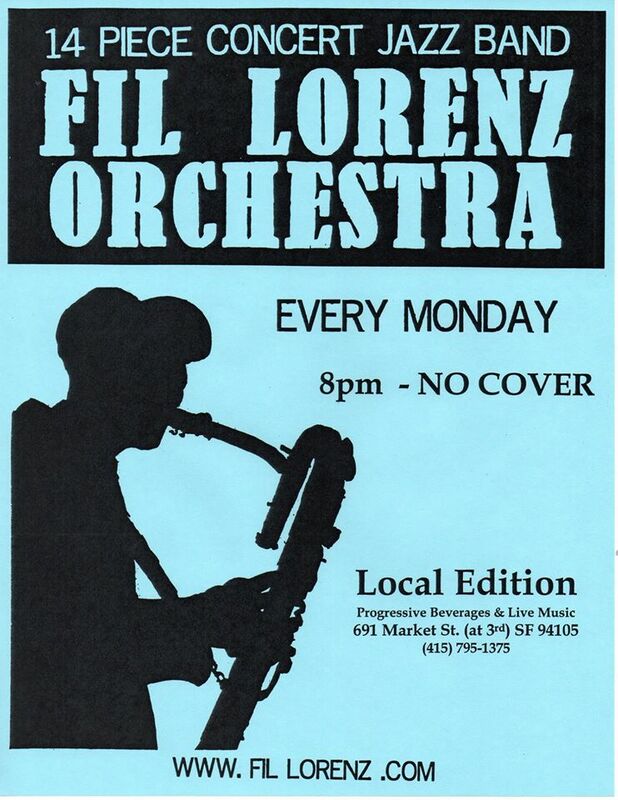 Fil Lorenz Orchestra – Monday Night Big Band!!! Every Monday evening I perform with this excellent big band, led by saxophonist Fil Lorenz. Start your week off right with a spectacular, hard driving, and swinging big band sound!! !